I hadn't decided to write this today. But this topic clicked me spontaneously. I thought it would be a great continuation-post for my yesterday's post. My dad lived in China for 2 years, and before that, when I was in 9th, he had lived there for a year and a half. He knows lot of Chinese traditions and customs due to that. And yes...he only told me how they drink green tea! 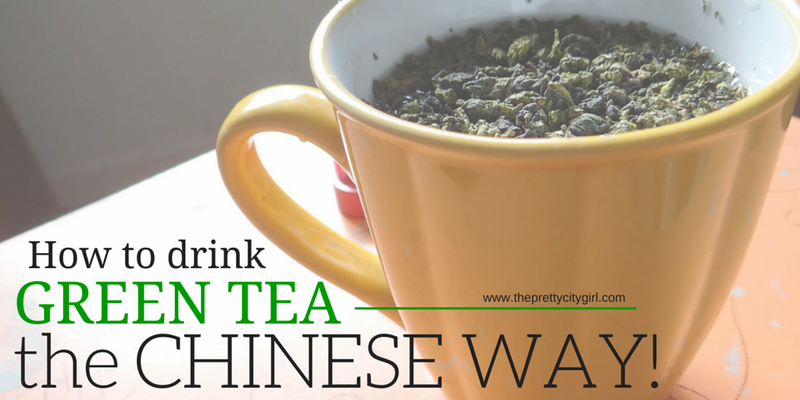 They just don't drink green tea like this, but all the types of tea found in China. In a flask, take hot water. Put green tea leaves in the hot water. Make green tea as always. Sip it like you sip coffee from tumbler. Finish it until you reach your destination. After you reach your destination, or wherever hot water is available, refill your flask with hot water (in case your tea is over). Keep the used leaves inside the flask as they are. Drink off the tea. Follow the above steps again until you reach back home. Use one pack of green tea leaves per day. They use the same leaves throughout the day. As the more you use those leaves, the more extract they produce. They just put leaves in the morning, and throughout the day, they just refill the flask if needed.